The big news for today’s update is that Direct Mail is now available in three additional languages: French, Italian, and Spanish. 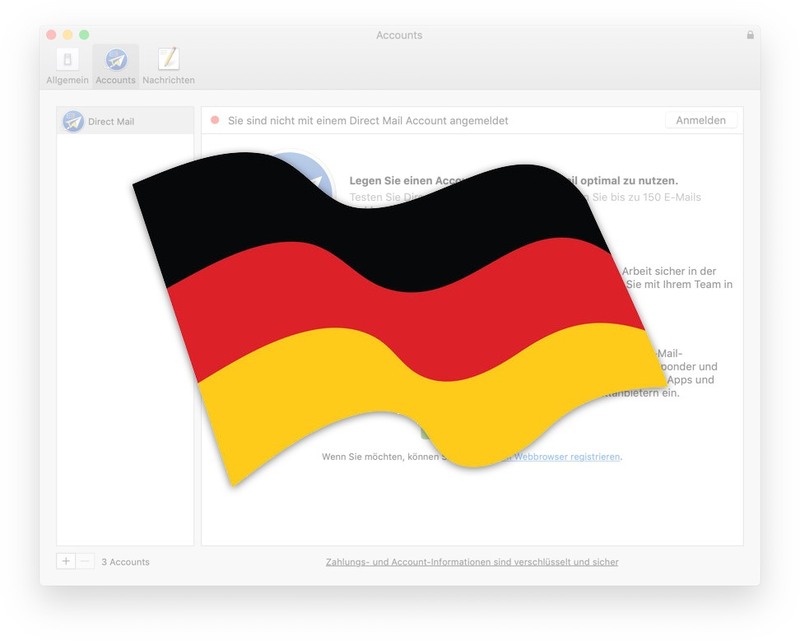 This is in addition to the already-supported English and German languages. That is not the only news, however. This latest update to Direct Mail includes some additional improvements and bug fixes that, we hope, will make your life easier. 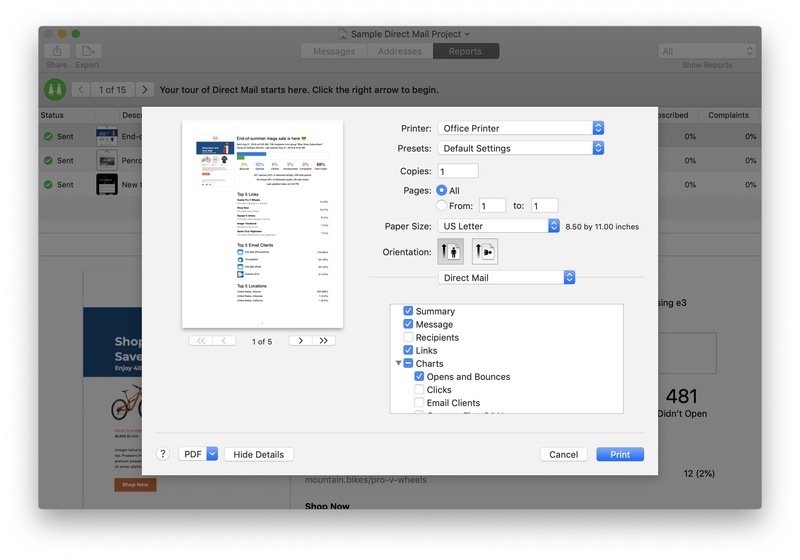 Direct Mail can now export messages to PDF. This can come in handy in cases where you need to distribute or archive your newsletter in formats other than email. If you need to print your message, you’ll find that the printed layout is now much improved over previous versions. To use this new feature, choose “Message > Export…” from the menu bar at the top of your screen. An optional toolbar button is also available. Direct Mail has always supported the printing and exporting of campaign reports. However, the printed report was limited in the amount of information it could display, and the layout did not make the best use of space available on the page. In this update to Direct Mail, we’ve given you more control over what information is included in the printed (or exported) report, and improved the layout to be more visually pleasing and useful. To include additional information on your printed campaign report, choose “File > Print” from the menu bar, then click the “Show Details” button. The list of available sections will appear on the right-hand side of the window. We want to make it easier for you to keep your Direct Mail account secure. One of the best ways to do that is to make sure that your account password is both ① hard-to-guess and ② not used elsewhere. To help you with this, Direct Mail now automatically suggests a unique, strong password anytime one is needed (for example, when changing your account password or signing up for a new account). You don’t have to accept the suggestion if you don’t want to, but we recommend you do. Strong password are securely saved to your Mac keychain, should you need to look it up later. If you have iCloud Keychain enabled, your Direct Mail account password will be securely synced to your other iCloud Keychain-enabled devices. This makes signing in to your Direct Mail account (including in our iOS app) a much smoother and safer experience. Want to add additional protection to your Direct Mail account? Check out our support for two-factor authentication. 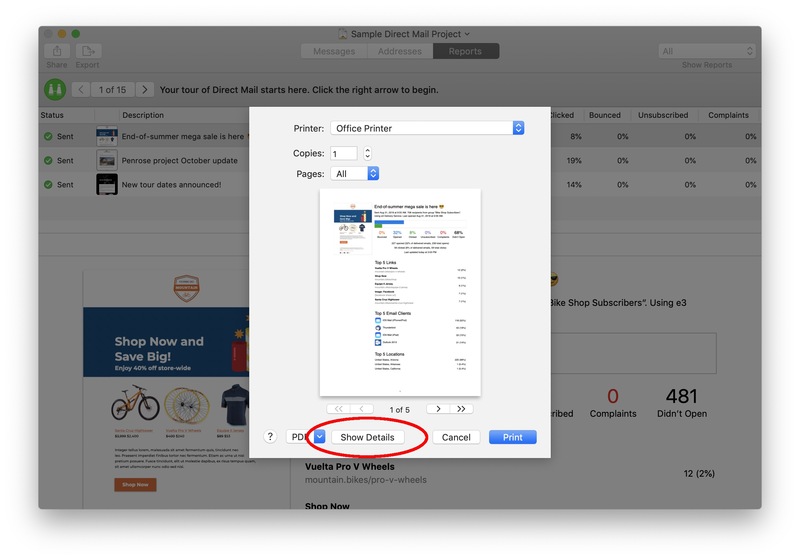 The 5.6 update to Direct Mail will roll out to your Mac automatically over the next few days. If you’d like to update right away, simply choose “Direct Mail > Check for Software Update” from the menu bar at the top of your screen. We are happy to announce that our latest update to Direct Mail has been fully translated into French, Italian, and Spanish. What’s more, our website, help documentation, and iOS app are now also available in these languages. They join the existing English and German localizations. We are excited to bring a more native user experience to our international users, and hope this work makes it easier for even more people to enjoy what Direct Mail has to offer. No special configuration or download is necessary to use Direct Mail in your language of choice. 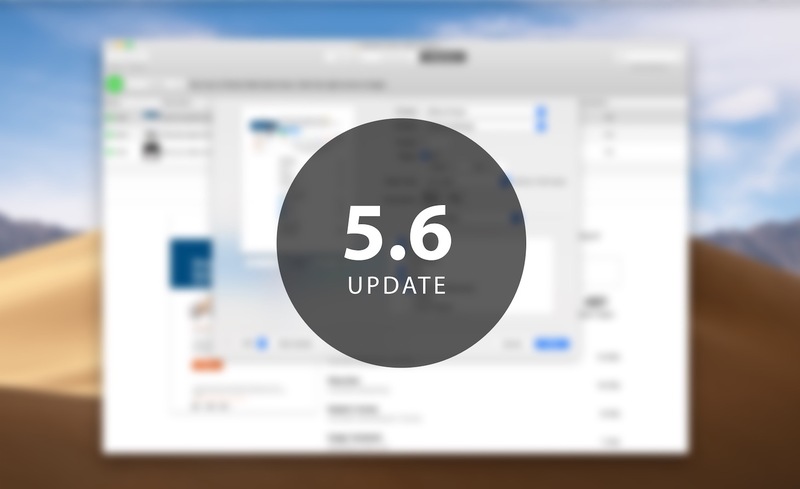 Once you have updated to version 5.6, Direct Mail will simply use your Mac’s existing language settings. If you have not yet updated to version 5.6, open Direct Mail and choose “Direct Mail > Check for Software Update” from the menu bar at the top of your screen. For many, PayPal needs no introduction. The online payment giant is now used by over 250 million people worldwide, and is a convenient and safe way to make online purchases. The new Direct Mail 5.5 update introduces full support for accepting payments via PayPal (in addition to credit card and the other payment methods already accepted). You can pay with your PayPal account when you create an account, purchase email credits, sign up for an Unlimited Plan, and more. Your PayPal password and banking information are kept secure on PayPal’s website and are never seen by Direct Mail. When you choose to pay via PayPal, Direct Mail will automatically take you to a checkout page in your favorite web browser (e.g. Safari, Chrome, or Firefox) where you can complete the transaction. Upon completion, you are prompted to switch back to Direct Mail and continue on your way. PayPal support is included in the latest update to Direct Mail. To update right away, simply choose “Direct Mail > Check for Software Update” from the menu bar at the top of your screen. If you have any questions, please don’t hesitate to reach out to our support team. Fantastisch! We are happy to announce that Direct Mail is now available in German. The app as well as online content like subscribe forms and the forward-to-a-friend features have all been translated. Our website and many of the most popular knowledge-base articles have been translated, as well. We hope this update makes Direct Mail even more accessible to our international audience and we look forward to rolling out additional languages in the future. The German version of Direct Mail does not require a separate download. 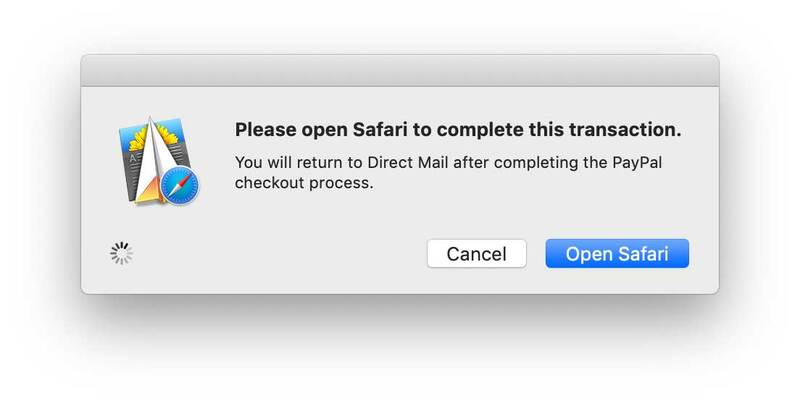 It is part of the Direct Mail 5.5 update, which can be obtained by choosing “Direct Mail > Check for Software Update” from the menu bar at the top of your screen. 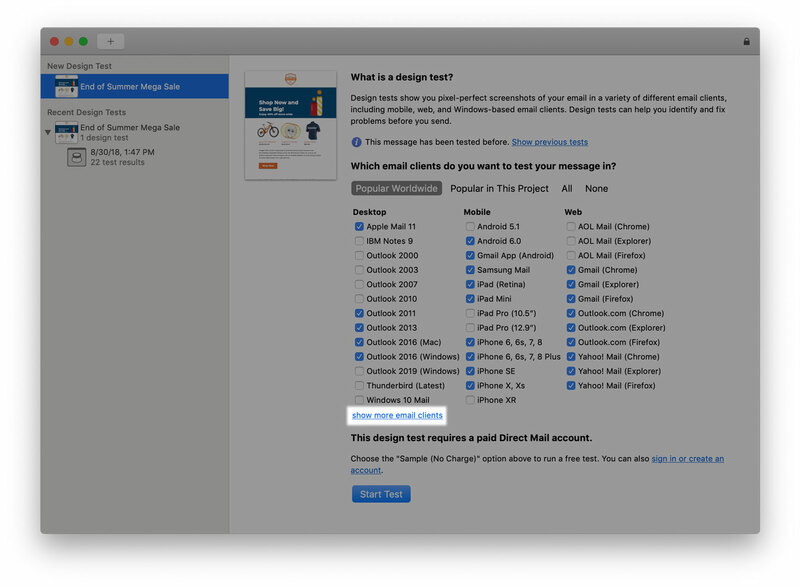 Customers who downloaded Direct Mail from the Mac App Store can obtain the update after it has been approved by Apple.